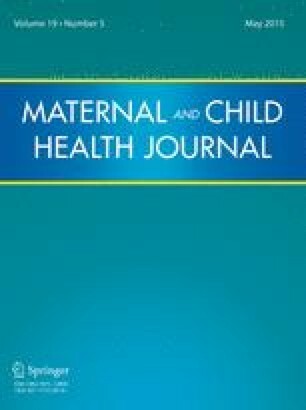 Mothers who are employed postpartum are less likely to continue breastfeeding than mothers who are not formally employed. However, as postpartum employment is increasingly necessary for the majority of new mothers, it is important to investigate factors that influence the continuation of breastfeeding in employed mothers. A sample of 1,738 mothers who returned to paid employment postpartum were recruited from the obstetric units of four public hospitals in Hong Kong, and prospectively followed for 12 months or until their infant was weaned. More than 85 % of participants returned to formal employment within 10 weeks postpartum, with over 90 % of these employed full-time. About one-third of the participants (32 %) were able to combine breastfeeding and employment, with breastfeeding defined as continuing for more than 2 weeks after returning to work postpartum. Later return to work and higher maternal education were associated with new mothers being able to combine breastfeeding and employment. Later return to work, shorter working hours, parental childcare, and higher maternal education were also associated with less likelihood of weaning from any or exclusive breastfeeding. Improvements in employment-related conditions for mothers and additional support for lower educated mothers may be effective strategies to enable employed women to continue breastfeeding after their return to work. This study was supported by a Grant from the Health and Medical Research Fund of the Food and Health Bureau, Government of Hong Kong Special Administrative Region (Grant: #05060721), the University of Hong Kong (Grant: #10207306), the University of Hong Kong Strategic Research Theme of Public Health, and the School of Nursing, the University of Hong Kong. OECD Family database. (2009). Breastfeeding rates. [cited 2013 21 November]. http://www.oecd.org/els/family/43136964.pdf. United States Centers for Disease Control and Prevention. (2013). Breastfeeding Report Card [Internet]. [cited 2014 13 February]. http://www.cdc.gov/breastfeeding/pdf/2013BreastfeedingReportCard.pdf. Bureau of Labor Statistics. The United States Department of Labor, and The Editor’s Desk. Happy Mother’s Day from BLS: Working mothers in 2012 [cited 2013 21 November]. http://www.bls.gov/opub/ted/2013/ted_20130510.htm. Census and Statistics Department of Hong Kong. Hong Kong annual digest of statistics: 2012 edition. [cited 2013 21 November]. http://www.statistics.gov.hk/pub/B10100032012AN12B0100.pdf. The Central People’s Government of People’s Republic of China. (2012). Special rules on the labor protection of female employees (text in Chinese). [cited 2013 21 November]. http://www.gov.cn/zwgk/2012-05/07/content_2131567.htm. Organization for Economic Co-operation and Development. (2011). Average usual weekly hours worked on the main job [cited 2013 21 November]. http://stats.oecd.org/Index.aspx?DatasetCode=ANHRS. The United Nations Economic and Social Commission for Asia and the Pacific (ESCAP). (2013). Statistical yearbook for Asia and the Pacific 2013. [cited 2014 16 April]. http://www.unescap.org/stat/data/syb2013/.